Media Credit: Aly Kruse | Hatchet Staff Photographer A mural drawn by Corcoran students to protest recent events in Ferguson, Mo. 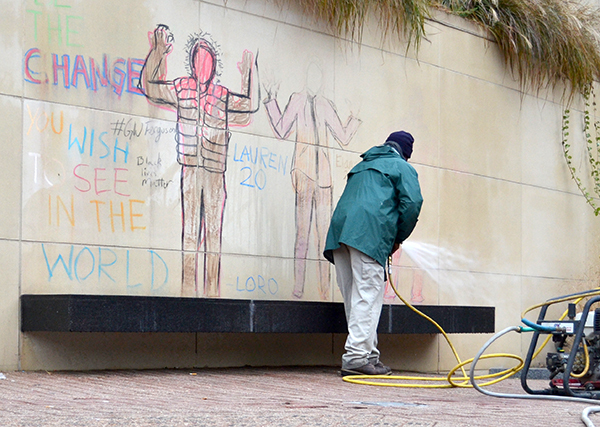 is power washed off a wall in front of Gelman Library. Protests continued both on campus and around D.C. in the week following the grand jury decision not to indict police officer Darren Wilson.